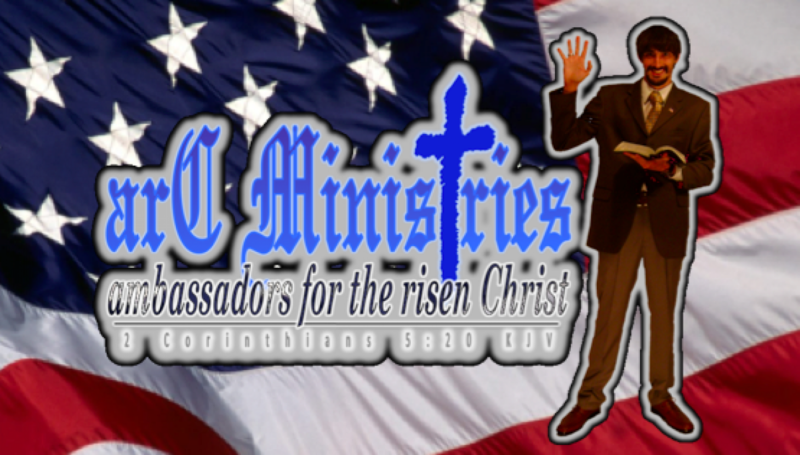 arC ministries | ambassadors for the risen Christ proclaiming God's grace to us in Jesus Christ! Grace and peace, friend, and welcome to our new ministry website! I am Shawn Brasseaux, the Bible teacher and web administrator of arC Ministries (ambassadors for the risen Christ ministries). 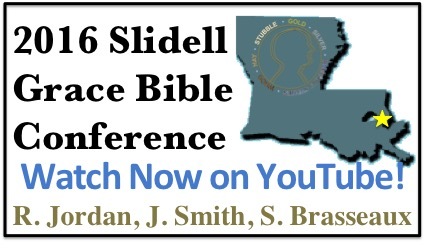 Located in Louisiana, southern United States of America, we are a nondenominational grace-oriented ministry and local assembly of Bible-believing Christians. Our ministry is a network of several websites and many other projects too numerous to name here. This is our master website. Here, you will conveniently find links to all of our websites—please notice the panels to your left and right. Let me tell you a little more about our ministry and those who support us. We are Bible-believing Christians who share God’s desire to “have all men [people] saved, and come unto the knowledge of the truth” (1 Timothy 2:4). Our goal is “to make all men see what is the fellowship of the mystery, which from the beginning of the world hath been hid in God, who created all things by Jesus Christ” (Ephesians 3:9). Whether you are completely new to Christianity and you are interested in learning more about the Lord Jesus Christ, or you are a Christian seeking to better understand and enjoy God’s Word, welcome! We are privileged and delighted to minister to you (and your family) for Jesus Christ’s glory! Furthermore, there is a prevailing myth that the Bible is “anti-science.” As a young-earth creationist scientist (geologist), I also purpose to equip God’s people (Christians) with sound (Biblical) scientific information. They need to see that the Bible, while not designed to be a science textbook, speaks quite accurately when it does mention scientific concepts and processes. Having this awareness of the Bible’s profound scientific statements, God’s people will better appreciate the design and beauty of creation, so ultimately, they can value even more the Creator, Jesus Christ, the Person behind the creation. Thus, they will have astute, sound arguments when the “intellectual,” “scholarly,” “scientific” people attack and ridicule God’s Holy Word. Our hope and prayer is that our ministry will be a great help and a blessing to you. We ask that you study the King James Bible with us according to the principle of right division (dispensational Bible study): “Study to shew thyself approved unto God, a workman that needeth not to be ashamed, rightly dividing the word of truth” (2 Timothy 2:15 KJV). We strongly encourage you to study the issues we discuss more fully in your own personal Bible study, and if you have any questions or comments, you can browse our vast library of Bible study material, or you can email me at arcministries@gmail.com. Thank you for visiting us! By the way, if you are new to Christianity, or unsure of where you will spend eternity, please see our “Do You Want to Go to Heaven?” page. If you are already sure of your eternal life in Jesus Christ, please see our “What is Dispensational Bible Study?” page. To learn more about us, please see our “What We Believe” page. You may also browse our catalog of printed Bible study material. And, one more thing, friend, be prepared to hear and read information you have probably never heard before… and you may never hear and read it again! Our 10 most recent Bible questions answered: For What Saith the Scriptures? ambassadors for the risen Christ proclaiming God's grace to us in Jesus Christ!